Happy to see that the Trim Can is now available for purchase through Umbra, and through other outlets very soon! 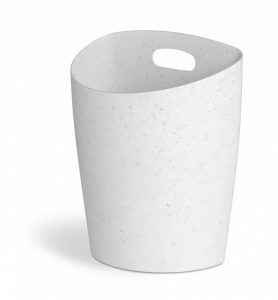 It is available in both a white and grey speckle. Very nice! 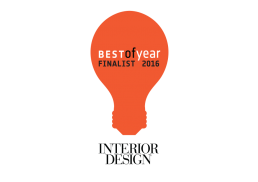 I just learned last night that Leit System is a finalist for the Best of Year Award from Interior Design Magazine! 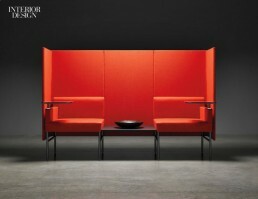 It is competing in the Seating: Contract/Lounge/Collaborative Hubs category. Fingers crossed! But in the mean time, I’m enjoying the honor of being nominated. Interior Design did a fine job of explaining what Leit System is all about. See for yourself! Things may have appeared to be a bit quiet around here. But oh how appearances can be deceiving! 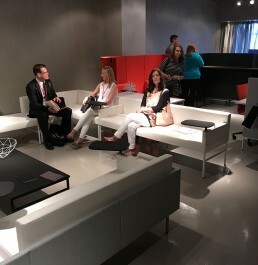 If you are planning on attending NeoCon next week in Chicago, please stop by the Tuohy showroom on the 11th floor, where you will find a new furniture system that I designed called Leit. This marks my debut at NeoCon, so I am, naturally, very excited to share the results with you all. So come on by and say ‘hello’ and try it out!